Here are a few recently tested items that will help make your fly fishing season a success. Features an overall “skeletonized” design with radial porting that results in an ultralight product that balances well with newer (lighter), fly rods. U-shaped, large arbor helps fly lines stack evenly during retrieve and reduces aggressive coiling. The compact carbon drag system (made up of carbon and stainless steel friction plates), ensures smooth torque at every drag setting. Bonus: fully sealed drag means zero maintenance. Also features a large, grippy rubber handle and an exemplary (large, centered, textured) drag knob. 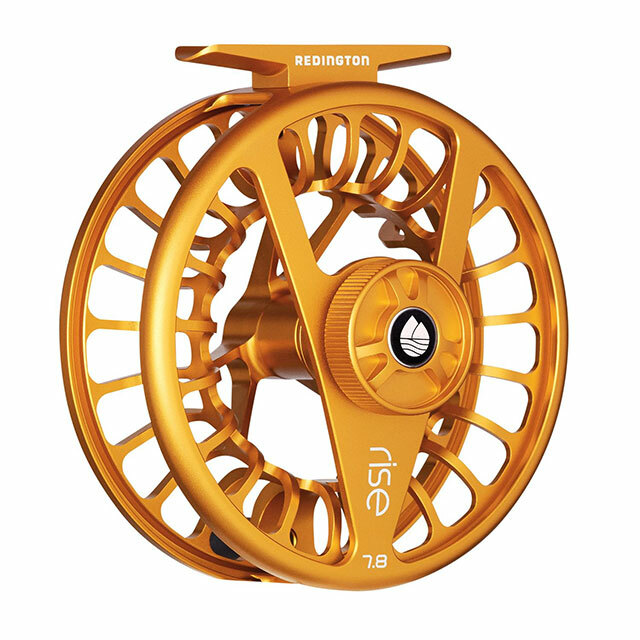 The RISE reel is well-designed, packed with technology, and offered at a very reasonable price. Available in 4 sizes that cover line weights 3 through 10, and in 3 colors: silver, black and amber. Highly recommended. Patagonia is such a large operation that it often doesn’t get enough credit for doing a great job on their niche products. The low-profile, 10L Stormfront hip pack, for example, is one of the finer, functional and minimalist designs you’re likely to encounter. The military-grade 800 Denier outer shell can handle abuse, and is built to last. Welded seams throughout, combined with a waterproof T-Zip zipper will handle whatever Mother Nature throws at it—including an impromptu submersion. 10L of unadorned storage capacity includes one interior zippered mesh compartment for leaders or small implements, plus one exterior—again, 100% waterproof – zippered compartment for things that need to be accessed quickly. Another thing Patagonia does better than most: carrying straps, and this pack sports a wide, soft, very comfortable carrying system. Inside is TPU coated. 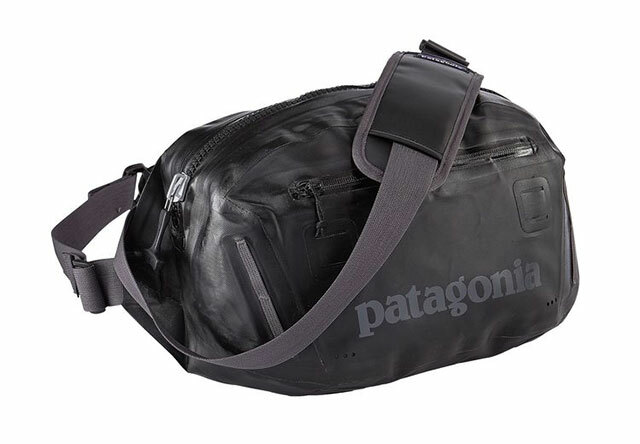 Functional, minimalist gear has to be extremely well thought out, and the Patagonia Stormfront hip pack is one such item. Highly recommended. 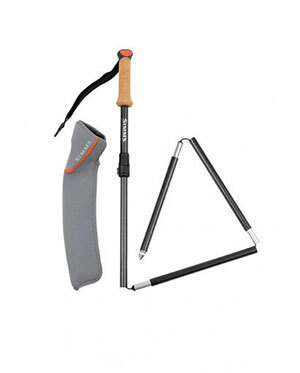 I’ll cut right to the chase: this is the best-performing wading staff I’ve tested to date. Quick-release enabled for improved safety: the four-section staff includes a FastLock system, similar to touring-style ski poles, for customizable lengths between 51 and 56 inches. A well sized, ergonomic, compressed cork handle delivers non-slip grip. Comes with snag-proof holster. Bonus: the entire package—including holster—clocks in at a surprisingly lean 314 grams. Ultra-light weight, solid build, ninja-quick. ‘Nuf said.